A few weeks ago we were contacted by a lady named Sharyn and she was very concerned about a stray that was living outside her home. Sharyn was looking for some advice on how to help care for the cat. Once we contacted her we were pleasantly surprised that she had already taken the first steps to make sure the cat was being fed and had proper shelter. She had made a weatherproof , insulated shelter stuffed with straw and had also set up a feeding station. She met me at the sanctuary and picked up a snuggle safe (a heated disc you throw in the microwave and it maintains its heat for approximately eight hours) She went further in her research and was able to find an extreme outdoor heating pad for the cat haven she had made. Little by little she gained the little cat’s trust and was able to actually touch and hold the cat. The cat still won’t go close to her house, but looks forward to snuggle time with her new mom at her very own custom made, heated kitty condo. Sharyn has named the little girl “Cleo-paw-tra,” or “Cleo” for short. Sharyn is giving Cleo her space and not forcing anything at this point, Everything will move according to Cleo’s schedule. Sharyn, who was not much of a cat person, has had her heart stolen by Cleo. Funny how things work, cats have a way of getting straight to the heart of the matter. We wish Sharyn and Cleo the best of luck. I am sure Cleo will make it inside the house in due time. Thank you Sharyn for caring enough to help this little girl, for going above and beyond and making a difference in her life. I hope this story will inspire others to help an animal in need if they cross your path. Another phone call came this past week about an injured stray cat. The people tried to do everything by the book and contact the necessary people to help the cat. After many phone calls reaching out to the proper authorities, the system failed the cat. Worried for the well being of the cat, the couple never gave up and kept trying. They let the cat in their enclosed porch for shelter in these below zero temps and provided it with a heater and food and water. They remained persistent on trying to get the cat help to no avail and then they made a phone call to The Ark. After a lengthy conversation the cat was accepted to The Ark. He has been named Brutus and has a vet appointment today for a thorough exam as well as getting neutered and vaccinated. 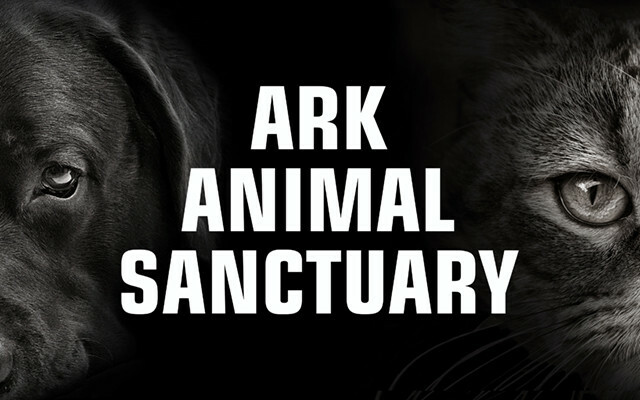 Even though The Ark is well over capacity we could not, nor will we ever, refuse an injured cat. We will figure out a way because that is who we are and what we do. Long story short all of the people involved in these rescues chose to do the right thing. Their first and utmost concern was for the well being of a cat. A cat that did not belong to them but a cat in desperate need of help. They did not take the easy way out and just walk away, they made a difference in the life of an animal. We at the Ark just want to say thank you for being their heroes, for going the extra mile and saving a life. The world needs more people like you in it. Our bake sale will resume in February the first one being Feb.2. Thank you for your continued support and as always thank you for reading our column.